Oh, what a tangled web politicians have weaved for the State Board of Elections and Ethics Enforcement and the judicial candidates who filed early. Filing for judicial offices began yesterday and 124 people registered with the Board. You can find a public list of those candidates here (updated at 11 a.m. today) — but it’s missing a few names. Lawmakers waited until the last minute to pass a judicial redistricting bill — Senate Bill 757, which redistricts Superior Courts in Mecklenburg, Pender and New Hanover counties and District Courts in Wake and Mecklenburg counties — and Gov. Roy Cooper waited until the last minute to veto it — Friday night. There has not yet been an override vote, so candidate filing began under the current law and districts despite the Board being braced for SB757, and now it appears the affected candidates will have some extra hoops to jump through. Judge Louis Meyer of Wake County is one of those candidates. He was excited to file on the first day because it would mean he was the first candidate listed on the Board website, but his name is one that has not yet been posted. Meyer, who has been a district court judge since 2012, filed his notice of candidacy yesterday for district 10 in Wake and paid the $1,167 filing fee for the county-wide election. If lawmakers override the veto of SB757, Meyer will have to re-file his notice of candidacy for district 10E. He said that means withdrawing the first notice of candidacy, repaying the same filing fee and then waiting for a refund from the first check he had to cut. Meyer said he has to do it both ways if the veto is overridden because he can’t risk not being correctly registered this election. He said he asked Monday if he could just file both ways at that time and Board staff told him he could not. Josh Lawson, general counsel to the Board, said Monday they are “accepting” filings under the current law and districts. He added that staff told candidates they should file under the current, active laws, but that he knows of at least one judicial candidate who turned in paperwork with the district number they expect will be active if/when there is a vote to override SB757. Lawson did not know if the Board had ever experienced a change in districts in any election while filing was in progress. He did not return two requests Tuesday to address why there were names missing from the online judicial candidate list. 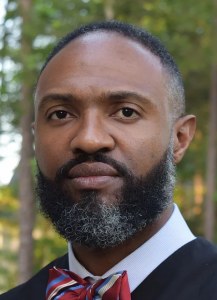 Judge Donald Cureton Jr. of Mecklenburg County also filed his notice of candidacy Monday, along with a handful of colleagues from that area. 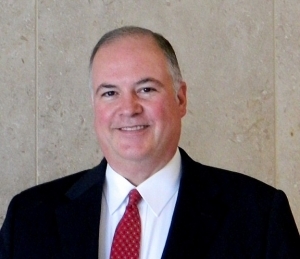 He has served as a District Court judge since 2010. He said he was told by Board staff that he could register under the current law but because of the complications, his application would not be put in the system for the public record. “Why that happened, I do not know,” Cureton said. He and his colleagues were first certified at the local Board of Elections and then he traveled to Raleigh to file the paperwork. He spoke with multiple people throughout the day and it was decided that the best option was for everyone to file under the current laws but with a plan to re-file if lawmakers override the veto of SB757. Cureton, like Meyer, was told that if SB757 was overridden, he would have to first file a notice of withdrawal of candidacy, then refile a new notice and pay a new filing fee. The old filing fee, he said, would be refunded in four to six weeks. Board staff tried to be accommodating to those judges affected by SB757, but Cureton said it was not a seamless process — he said they’re still confused about everything even after filing. Cureton and his colleagues asked Board staff if they could file for both current and future districts or if they could file a hybrid notice of candidacy and list both, but they, like Meyer, were told they could not. He described his previous candidate filing processes in 2010 and 2014 much smoother. N.C. Administrative Office of the Courts Director Marion Warren told judges at a Tuesday conference that the Board was holding candidates’ filings until lawmakers overrode the veto of SB757. When asked about the AOC’s role in giving judges candidate filing guidance, spokeswoman Sharon Gladwell said the agency does not. “Judge Warren provided his opinion about SB757, which was based on information that is publicly available about the bill, the scheduled override vote on the calendar, and the General Assembly’s stated goal to complete the short session,” she said. The AOC has refrained from offering opinions on most bills this session and last that have affected the courts. Gerry Cohen, who has had more than 40 years of experience in state and local government in North Carolina, said he cannot recall a time when a legislature tinkered with election administration so close to candidate filing — with the exception of one technical change in the 90s in Durham that was made in August to correct an administrative error. The only time he recalls districts in any election being changed during a candidate filing process was in 2016 when the courts overturned congressional districts four days in — filing was cancelled and the map was redrawn. Cohen said though that the rules for when judges can change elections is pretty clear cut but the waters are a little muddier when it comes to legislators. Election law experts Rick Hasen, Professor of Law and Political Science at UC Irvine, and Guy-Uriel Charles, founding director of the Duke Law Center on Law, Race and Politics, said Tuesday that there was not a per se or constitutional legal rule on lawmakers changing electoral districts during a candidate filing process. Hasen, like Cohen, did point out the “Purcell Principle,” which is the thought that courts should not change voting rules close to an election. He has written extensively about it. In addition to SB757, there is also House Bill 717 that is pending on the Governor’s desk — he has until June 25 to veto it, which is four days before the end of filing. That bill deals with residency requirements and the listing of judicial seats. “I think a lot of this is just poor calendar planning by the General Assembly,” he said. Cureton said it’s difficult to balance work and everything else that is going on with judicial elections. He is a juvenile court judge, which already makes for very emotional work. He described it as an emotional time not only for him, but also for his family. “We’re trying to handle it as best we can, but it’s not easy,” he said. The Senate is scheduled to take up the SB757 veto tonight. Below is a check-in sheet from the Board to reflect which judicial candidates filed on the first day. NC Policy Watch redacted the judges’ contact information for privacy.